Over the weekend, labor and business reached an agreement which includes a new kind of worker visa program called the W-Visa. This is a key step in the push for comprehensive immigration reform. The UFCW has been one of the main players in the negotiations, lobbying for reform that creates a process for determining the need and allocation of employment-based visas. 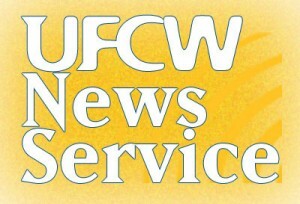 The UFCW has said reform must establish a methodology for assessing labor shortages and determine the impact of visas on the economy, wages, the workforce, and business. This agreement meets those principles. Under the new visa program, workers will have the ability to self-petition for permanent status after a year and they are not tied to a single employer. Unlike previous programs, this one is data-driven and will be staffed by experts in economics, labor markets, demographics and other specialties needed to identify labor shortages and make recommendations on the number of visas. Visa holders will be paid fairly, meaning their wages will not adversely affect the wages or working conditions of U.S. workers. They will be covered by state and federal employment laws to the same extent that other U.S. workers are covered. This breakthrough will help move forward comprehensive immigration reform that creates a road map to citizenship for 11 million aspiring Americans. UFCW locals spent last week meeting with their Members of Congress lobbying for comprehensive immigration reform. They are preparing for an all-out campaign once legislation is introduced to ensure its passage. 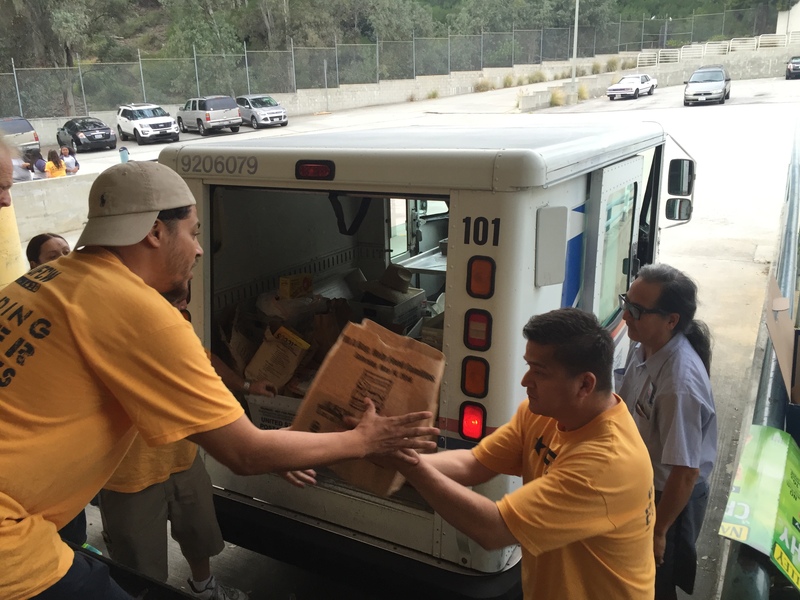 The UFCW recently kicked off its public campaign for comprehensive immigration reform. Civil Rights and Community Action Department Director Esther Lopez says she expects a bill to be introduced in March or April, followed by hearings in May or June, and a vote in August. 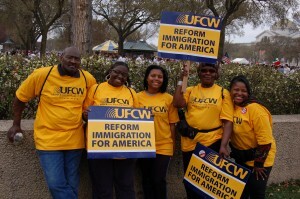 In addition, over 80 UFCW leaders have signed a letter to President Obama in support of comprehensive immigration reform. “The time to create a principled, legal immigration system that treats all immigrants with respect and dignity is right now,” the letter read. Immigration reform rallies are being planned across the country. If you live near any of these major cities, be sure to support the cause! And if you don’t, gather a group of coworkers and friends and let political leaders in your area know that the time for immigration reform is now. WASHINGTON, D.C. — Joe Hansen, International President of the United Food and Commercial Workers International Union (UFCW), today released the following statement in response to Mitt Romney’s speech before the National Association of Latino Elected and Appointed Officials (NALEO).